Did you know that you can claim tax relief on the cost of doctors bills, prescriptions, nursing home fees and other medical expenses? This is one of the most valuable Income Tax reliefs around, and is easy and straightforward to claim. Yet, amazingly, each year many thousands of taxpayers never claim their refunds. 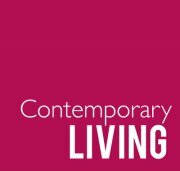 My new article for Contemporary Living magazine explains how you can avoid this expensive mistake. thanx for spending some time to discuss this subject here on your web page.